Previously in TacticalGamer University courses have been conceived and written for specific games. The content from a Battlefield franchise does need a different variation than that of Planetside or of ArmA. 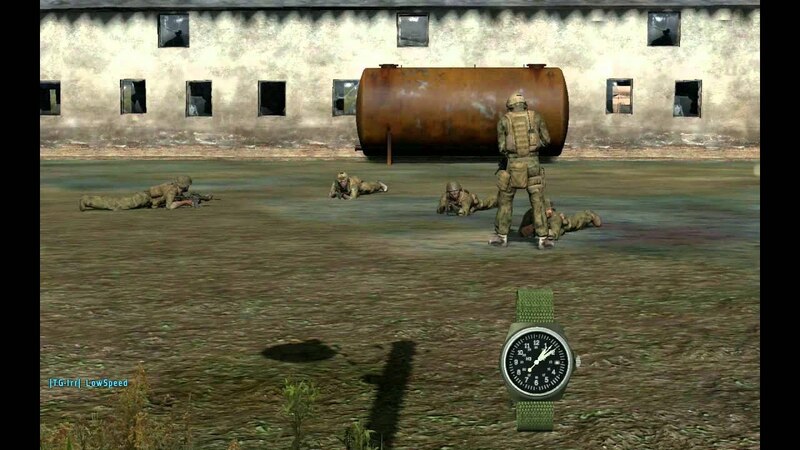 However, the TG Primer instructs all gamers who choose to play at TacticalGamer.com that one of our primary aims is to utilize real world tactics in our gameplay. It is in this light that all course material is being rewritten and course material standardized across the board. Basic tactics and procedures don’t often change very much from game to game. How to work together as a team and cover your sector is the same. Thus while the basic four man fire team we will cover in this course may have a significant deviations based on your game, there are some basic lessons we will gather from this example that will be applicable to all our games. So while the game you came to learn about at TGU may not have your fire teams move in wedge formation very often, you will learn a lot about how knowing what a wedge is and get into detail about what it’s strengths and weaknesses are. Learning how you fit into one becomes such a good stepping off point to learn the previous bullet points above. This has been formatted for the forums and if you wish to print this then click on "Thread Tools" near the top of the page and "Show Printable Version". We hope you enjoy this course and find the information fun and useful within your team work here at TacticalGamer.com. Thank you for your interest in TGU’s Basic Infantry course. The first place we must start is with The Primer. As you progress through TGU courses you will find a review of The Primer again once you get into the leadership courses. Please take the time to read it again, even if you have read it before. This is the first full release of the written course material. What will follow is short videos demonstrating some of the basic concepts from many of our different games. Those videos will be available in the TGU Reference Library and linked here beside the appropriate supporting content. Your training now at TGU is going to expect that you have read this material, watched the videos and when a class is scheduled you will arrive to it having digested this material in large part. Classes will now involve instructors to help you understand the finer points and walk participants through drills. You will be quizzed on your knowledge of this course material and coached based on your answers. The intent is to move TGU away from long lectures, have you actively participate more in your class, standardize our basics across all our games and free our instructors to have the time to get into the details specific to your game because these “basics are in the can”. Infantry is often misunderstood by the gamer. The ability to spread out small arms fire from many covered positions; the ability to get to those positions with stealth; the ability to swarm a target; the ability to travel and clear difficult terrain; these abilities and more give infantry a capability on the battlefield that larger equipment can not duplicate. It does not matter if you are an automatic rifleman, crewman, galaxy pilot, platoon leader, logistics driver, or if you play a futuristic game where your life is “restored” after you go down or a near-simulation game of a cold war conflict. Every man on the battlefield is fundamentally a rifleman. As such there are some basic trades to learn. These are the basic trades of a rifleman. An infantryman must be able to shoot and destroy the enemy. He must be able to move and seize ground. He must be able to effectively communicate his movement, intent, situation and needs. He must be able to survive and sustain his combat effectiveness. We are going to talk about the idea of combat power. Combat power is created by teamwork and coordination. It is created in groups. A lone infantryman does not create combat power. It is by working together through organization that combat power is created. This course will teach you the basics of how this is put together. The application of the basic trades of an infantryman toward the goals of the team create combat power. You will see these same basics applied again and again throughout your progress from basic infantryman to platoon leader. The goals of infantry are simple. To defeat enemy forces and seize ground. To do this, infantry who are moving are attacking. Those that are not moving are preparing to attack. We will see why basic fire team discipline is essential to the creation of Combat Power. We will discuss how different formations give us different advantages. How fire discipline is essential to success. We will talk about communications on possible enemy positions and how to ask for what you need to stay combat effective. We will discuss the four basic roles within a traditional four man fireteam. The fireteam leader, the grenadier, the automatic rifleman and rifleman. There is a large degree of variation in this team in different games. We will discuss the current and real world aspects and your videos and instructors will apply those principles to a specific game. There is always a basic assault class or a rifleman. For the purpose of this example we have allowed this rifleman to carry a backpack with additional ammunition for the Automatic Rifleman (or AR for short). He will be a buddy team with the AR, assist him to correct fire and spot targets. They will move together in most situations and the Assistant Auto-Rifleman (or AAR for short) will also prepare a full magazine to cover for when the AR must reload. Since his primary role is rifleman he also has the lesser firepower of the team but can provide accurate point fire on targets. The AAR will not be equipped with a long range optical sight in most situations. He will be counted on to provide close quarters support to the fireteam. This person will most often be designated to cover the teams rear or location of least expected enemy contact. He reports to his Fire team Leader. A typical loadout for an AAR may be a medium gauge rifle with a close quarters sight such as an ACO or a holopoint. He may have another optic if there is an optional iron sight available. Obviously a holopoint or ACO is preferred because you can acquire targets that might otherwise be obscured by an iron sight. Is also a rifleman who carries an under-slung grenade launcher. He will buddy up with the Fire team Leader. He will also be prepared to take lead if the leader is not combat effective. This Grenadier (or GL for short) has the second greatest firepower in the team. Not only can he provide accurate point fire on targets with his rifle but we will see how much more he can do with the grenade launcher. His rifle will most often have a close quarters sight such as an ACO to allow as much unobstructed view as possible for situational awareness. He reports to his Fire team Leader. The USGL or under-slung grenade launcher is a very flexible and powerful weapon for the squad. Using high explosive rounds (or HE for short) this fire team member can provide area denial, enemy elimination and even indirect fire options. The HE rounds have a large area of effect compared to bullets and can be devastating even to enemies that are behind concealment. In addition, the rounds travel in an arc due to the effect of gravity which can allow the fire team to hit an enemy that may be hidden in a defilade where direct fire can not reach. In addition the GL may be used by the team to provide signals such as marking enemy positions with red smoke or vector in a transport chopper with a flare. He may also use smoke rounds to put down an effective screen much further than is possible than by throwing smoke grenades by hand. The Automatic Rifleman (or AR for short) provides the greatest amount of firepower of the team. The large capacity of the belts or boxes or rounds for an automatic rifle allow the AR to suppress an enemy. Once an enemy is suppressed by the AR`s large volume of fire, the rest of the team has more opportunity to get their accurate point fire on the enemy targets for elimination shots. He reports to his Fire team Leader. In most formations the AR will be positioned directly on the flank of most likely enemy contact. This is often equalized out by the placement of the grenadier and AAR as we will see when we discuss formations in more detail. The important point to remember about the AR is that his most important job is to win control of a firefight by laying down aggressive suppressive fires. Once fire superiority is achieved, the team is in position and on target, the AR can scale back his fires to conserve ammunition. The fire team leader provides Command and Control. He leads by example using the mantra, ``Do as I do``. His role is to have authority over and responsibility for his team members. He will direct the teams movements and fires with minimal direction from his leader. He will report to his Squad or Section Leader (or SL for short). He will communicate to his higher authority his situation, intent, capabilities and take his direction from higher. He is responsible to maintain the combat effectiveness of his unit and for this he is responsible for all men, weapons and equipment for the team. He requires immediacy in all actions and must understand the mission two levels up. He must have complete situational awareness at all times. However, this is not the TGU Basic Leadership course and we only touch upon these items so you understand what your team leader is up to. To accomplish this the fire team leader (or FTL for short) requires the support of the team in many ways. Your team leader may need to halt to check a map, get orders from higher, or give any number of reports. In situations like these your team may take a halt and pull a 360 security. Your team will have to cover your leader’s sector if he is required on the radio. This is more important when we are talking about a SL but your team leader will have some organizing to do that will take his attention away from you. When your leader is on the radio stay off the coms unless you have a priority contact report that can’t wait. If your leader asks for a, “Break Coms”, then best to just zip it and wait. If you have to (like an enemy is danger close and about to fire on your team) then a quick, “Break break” spoken over the radio will suffice to get your leaders immediate attention if needed. More on radio procedure in the TGU Advanced Infantry course. It’s your leader’s job to know where you are at all times and it’s your job to help that happen. When the chaos starts this needs to be known. It is these fundamental organizations at the fireteam level that the rest of our organization structure depends on. Fire teams are made up of infantrymen. It is only by the organization that we create COMBAT POWER. Squads are made up of fire teams. Squads multiply their combat power by having these teams work in tandem to maximize their fires and coverage. Platoons are groups that are made up of squads. Lets examine the next level up from the fire team, the squad or section. A section is very similar but used in the British or Canadian forces. It is made up of two fire teams and the Section Leader may be one of the fireteam leaders. If he is, then his job is a little more difficult in that he commands 3 fireteam members and another fireteam leader. This adds a burden to his communications since he now has 4 elements under his control and report to his PL. A squad or section leader uses each fire team to move and maneuver as distinct elements. Just as a fireteam leader uses his team infantrymen, the squad leader uses his fire teams in control and formations to suit the situation at hand. In a squad one fireteam usually carries heavier weapons such as heavy AT and a machine gunner. This team is used as a base of fire which is responsible for overwatching the other teams in the squad. Their superior firepower is used to allow the other fire team or teams to be more maneuverable on the battlefield. A platoon is made up of 2 or more squads. The normal limit of a platoon is 3 squads. This is is an extension of a rule of three`s where any leader only commands 3 subordinates and reports to his leader. A platoon leader will give his squads objectives and assign assets as appropriate to the situation to those squads. There are additional platoon level assets such as medics, mortar teams, recon elements and many others that can be utilized in addition to the standard fire teams that make up the basic structure. We need to mention other fireteam members briefly. We can also have a Rifleman/AT who may carry a disposable shoulder launch anti-tank missile. There are AT Specialists who may carry heavier shoulder launch missile systems that can lock on target and have reusable launchers. Other platoon level assets such as engineers for explosive ordnance disposal (or EOD for short) or engineers who are repair specialists may also be assigned a team by the PL. Sometimes there may be a radio telephone operator (or RTO for short) that is there to help the leaders manage their communications. Machine Gunners are like Automatic Riflemen but have a heavier projectile and are used mainly in fireteams who act as a base of fire. Using these additional roles is beyond the scope of this Basic Infantry course. You are invited to attend a Tactical Gamer University Advanced Infantry Course or request that one be scheduled when you have completed the basic course. A fireteam succeeds or fails by the actions of the fireteam members. The FTL, the AR, the GL and the AAR begin to create combat power by their organization. They each have different weapon systems that create interlocking lanes of fire that when utilized appropriately have tremendous effect on the battlefield. A squad is made up of fire teams and the success of a squad or section is dependant on the actions of it’s fire teams. The squad leader is separate from the fire teams and is responsible for those fire teams much as the fire team leader is responsible for his 3 infantrymen. One fireteam in a squad is designated as a base of fire element. A platoon is made up of squads or sections and it’s success is dependent on the actions of it’s squads. The platoon can have other assets such as a medical team or other supports available to it. How these assets are organized and attached is up to the Platoon Leader. The basic to take away from this part of the Basic Infantry Course is: You have a role to play in this organization. Your job will be defined by the role you accept in a fireteam. Take this role to heart and stay with it. There is much to learn beyond the basics but you will have to drill to master your role in a fireteam before advancing properly. Every game has different stances, speeds and controls for moving around the game world as infantry. The basics controls for your game are assumed for the purpose of this written course. It is important that you know all the key combinations and have mastered your basic movement before you get to your “check out class” for your TGU Basic Infantry Pin. Whether you choose to stand, crouch or go prone; if you choose to walk, run or crawl; if you choose to lean or not - all these choices should be made as an individual in service to your team. When you need to move from one area to next you want to move from cover to cover. Find the best possible route/s. Reload before you move. Do not reload while on the move. How do you decide the duration of the exposed run? Think of the phrase; " I'm up, I'm running, I'm seen, I'm down"
This is roughly translates to 5 seconds rush/exposure. Also, when order is given to move. You must move as a group not as an individual. Move with the fire team/Squad/Section. Never move ahead of your teammates, unless it is needed and/or required/ordered. This prevents possible fratricide and maintains the sector coverages of the group. Movement is done as a team. Teams moving together are travelling. We will come back to this later. Cover provides protection from bullets and fragmentation. Cover also conceals you from enemy observation and it could be man made or natural. Being inside an impenetrable building is great cover. Being behind a very large rock or behind a large hill is good cover. Is anything that will hide you from enemy observation but does not protect you from enemy fire or fragmentation. Being behind a bush may conceal you but bullets may penetrate through and harm you. A very large tree or a rock that gives you just enough space to hide behind may protect you from bullets but you are still able to be reached by fragmentation. In this case you are only in concealment. Increasingly games are rendering destructible environments. Remember an interior wall made of drywall is not going to stop most bullets and provide no cover if your position is known. When the enemy is spotted we must learn how to effectively communicate this to our team. We give a report giving direction, distance and a description of the enemy. We do so in that order for good reason. Lets look at each of these in order as we have some techniques to help us do each of these elements. The first element to call out is the direction. This is very hard to do but is essential. We naturally perceive what we see first and would like to give a description right away. As we will see later, each team member is assigned a sector to watch. If a description is given first, all of your team begins to look around for your description. Your teams 360 degree security is now compromised. Give a direction first and in most cases before you can even finish your Three D’s report (Direction, Distance, Description) your team already has guns on target. You will hear many different ways of calling direction but there is one that is most effective at the basic fireteam level. That is “directionals”. Your direction of movement may be reported by your team leader or set by your squad leader as your “Axis of Arc”. At the fireteam level, we just call it our direction of movement. Your leader will let you know, “Alpha team, we are moving out direction 010, walking pace, ranger file, weapons yellow, prepare to move…”. A “directional” is called based on your teams direction of movement. When your team has been moving north you can call a sighting “RIGHT”. 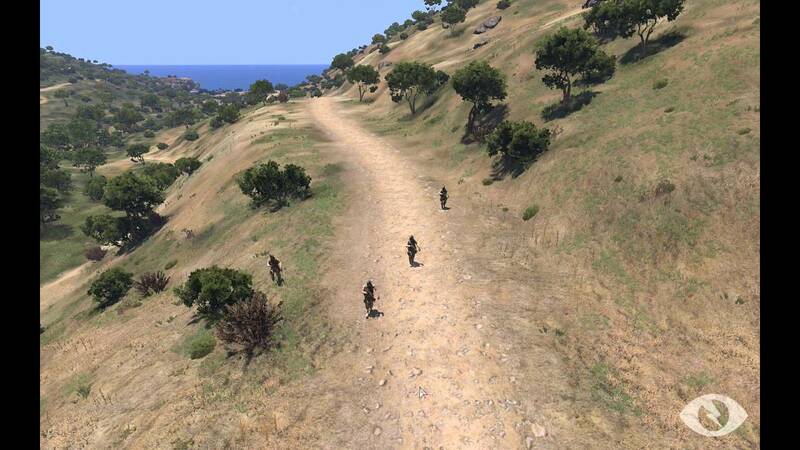 This indicates an enemy to your right and everyone will look to the east. If you call out “EAST” you may have team members who are unsure they are moving north and which way east is. HALF LEFT or HALF RIGHT is the entire region between your 90 degree flank and forward. It does NOT mean 45 degrees. These directionals are the best means for calling out direction while travelling because everyone knows your direction of movement. The the times it is not effective are is when you are at a long halt or defending a static position. Giving a cardinal direction is more often used when a game gives a permanent HUD with a compass. It takes longer for a team to process but can give a greater deal of accuracy for when targets are at range or are difficult to spot. Calling out a direction of east is 90 degrees. It is spoken as, “090” so that it can not be confused as either “190” or “290”. It could also be spoken as, “Direct east”, but be prepared to be asked for confirmation it is not off slightly by a few degrees. Compass readings may be used sometimes between fireteam leaders when their positions are close and well known. Compass readings are not used for reports to a squad or platoon leader when your map location is not known to be accurate. North/North-East - is 23 degrees or between North and North-East. East/South-East - is 113 degrees or between East and South-East. South/South-East is 158 degrees or between South and South-East. The clock ray method of calling a direction comes in two forms. This method is overused by infantry gamers. It is slow to process for team members and thus not as useful as the directional. It requires that you visualize a clock centered on your team with 12-o-clock pointing towards your teams direction of movement. Calling out a direction of “2-o-clock” would take longer to process than calling “Half Right”. It is most often used as a casual reference to 6-o-clock or “To our 6” which means to the rear from the teams direction of movement. This method works well when you are calling out a target that is far and difficult to see. It is easiest to visualize by example. Imagine we have spotted a sniper in a field of rocks 800m away. Calling a cardinal direction and saying the sniper is “by a rock” is not going to help your team spot him quickly. Lets say that there is a building not too far from the sniper with a red roof. We can superimpose a clock on that building with 12-o-clock being the straight line between us and the building going forward. We then read the clock for the direction the sniper is from the building. For example, “Half-right, red roof, 7-o-clock…”. This directional gives us a much more accurate position in a short time. It also makes it easier for your leader to get an accurate map location to send to other leaders. In most games the standard measurement used is in meters. It doesn’t matter much what unit of measurement is used as long as the team understands it. Thus sticking to meters is a common world wide standard. There are three ways of judging distance in a game and are worth mentioning. They are Unit of Measure, Appearance Method, and Bracketing. Unit of Measure is simply knowing a distance within your mind. If you know the length of a football field in your minds eye (approx 100m) you can use that to visualize how many football fields away your target is. IMPORTANT: Do not use this method over 400m if you can not see all the ground between you and the target. A slight defilade will make your estimation inaccurate! The Appearance Method is when you know the size of a common object such as a jeep or common building type. You can judge by it’s appearance or size how far it is. Look for common objects near your target for a reference. You may know the size of a man at 600m well and use this method. Bracketing is where you make two guesses and choose the middle ground. What is the furthest the target could be? 600m? What is the closest the target could be? 400m? Split the difference down the middle and call the distance at 500m. No need to get picky about it. Whether you call a “Contact” or a “Sighting” is going to make a big difference in how your team will react. Call a “Sighting” when you have spotted an enemy that is not about to reach out and touch your team. The enemy may be unaware of your presence and you are indicating to your team there is no reason for everyone to abandon their own sectors to take a “look see”. Your leader also knows there is a tactical decision to be made to engage or not. Call a “Contact” when you have been spotted by an enemy or are about to be. Normally when an enemy is danger close but unaware you would still call “Contact” depending on your mission. This may not be the best reaction if your mission is to sneak past enemy guards. Calling “Contact” indicates to your team that you will be getting ready to react to contact. This generally means you will get on line formation facing the contact, as we will see later, and begin immediately and aggressively suppressing the enemy with overwhelming fire. As you can see, mixing up the two types of reports puts your team at a tactical disadvantage. Make sure you call the correct type of report. Lets put the whole report together in some examples. As you can see the description comes last. If you have the time you can add more information to the end of the description once the important first facts are out. Depending on your game, your reports may need to be made in direct or by voice. Important contact reports should be made in your group channel or “radio” to ensure they are heard and known. If your leader is on your “radio” and you have a priority contact report you can step over his traffic. Calling, “Break, break...contact report”. Will clear the channel for your follow up priority contact report. More on radio procedure in the TGU Advanced Infantry and also leadership courses. It may be silly to think this as a requirement, since we are in a simulated environment. However, the repercussions of bad weapon safety could jeopardize your teammates and your platoons movements, maneuvers and even the plan itself. If one of your guys in your fire team, squad/section misfire (negligent discharge or ND), in or near the AO the whole planning process is down the drain and everyone must think on their feet. This is no fun nor fair at all when someone took their time to focus on meticulous planning, while someone else was not paying attention eating a packet of cheetos and mistakenly tapped the left mouse button (essentially the trigger for all weapons). Don’t be that guy! No one appreciates nor likes it when they have their game faces on. Basically keep your fingers off the trigger (mouse button). Each game may have a version of a safety or the ability to unload your weapon. Make use of it. Make sure you don’t alt-tab out of your game and fire while in another application. It is also a good practice to keep your characters weapon down when a game allows for it. Especially when talking to your own teammates. Accidental fires are just that. It happens without a warning! Sometimes, some leaders may say “Guns/Weapons up”. Meaning you are either in a close proximity of the enemy (be on hyper alert and ready state), or entering the AO. But this should happen naturally, by using your own common sense and judgement. Point fire, Area fire, Suppressive fire, Indirect fire, Recon by fire. Point fire is used at a slow and deliberate pace. It is the most common type of fire used. It uses carefully aimed shots. Area fire is used when the enemy location is suspected to be in concealment or cover. The team will fire on the area. Suppressive fire is not much different than area fire but for it’s intent. Suppressive fire is called on known enemy positions and is used to keep them from returning effective enemy fire and/or to cover friendly maneuver. Indirect fire is using a round that travels in an arcing trajectory so that you can effectively hit targets that are in cover of direct fires. For example, using mortars to hit targets that have retreated behind a hill. A grenadier can lob grenades over low walls when the enemy thought they were in cover. Recon by fire is often under utilized within games. This is where you place fires to provoke the enemy into returning fire. This gives their position away so you can eliminate them. The rules of engagement (or ROE) are sometimes referred to as the “Weapons Condition”. There are generally three states used at TacticalGamer. WEAPONS RED - means do not fire. In this state your team will not return fire unless in serious danger. The way in which your team can transition from Red to Green when under fire is different to your situation and mission. WEAPONS YELLOW - means you can only fire when you have targets that are positively identified and you are cleared by your leader. You may also hear this referred to as “Return Fire Only”. Still, your leader may call weapons yellow if you have friendlies in the area and he wants the time to check known friendly positions before your team will be cleared to engage. WEAPONS GREEN - means you are clear to fire on enemy targets as spotted. It is assumed that team members will report contacts and also recognize situations where a “Sighting Report” may be best. Remember, no matter what state you are in and when your team is in danger you can transition to Green as is required in most situations. In almost all simulations your stance and stamina have a degree of influence on your ability to fire accurately. The more stable your stance the more stable your weapon. When you are standing you are more susceptible to involuntary movements. You are also more recognizable as an infantryman from a distance. Taking a knee whenever at a short halt will improve your aim, sustain your stamina and reduce your silhouette. Being in a prone firing position is the best for your weapon, your stamina and exposure to enemy fire. How you move in most games also affects your stamina. Run for a long time in a crouched position holding your rifle up in ArmA 3 and then try to keep your target in the sight. You will find it difficult. You will have to manage your stance and gait to be prepared to fire effectively at the enemy when the time comes. It is important also to utilize breath control options within your game well. Many times a game will simulate holding your breath to take a carefully aimed shot. Hold your breath too long and your marksmanship will suffer badly. Buddy teams will also control their fires together. Stagger your shots with your buddy so you always have rounds going downrange and are adding to the suppressive effects of the team. Stagger your reloads and increase your rate of fire when your buddy is reloading to cover for his missing gun. The AAR will always prepare a full clip for when the AR is about to reload. This will prevent losing the suppressive fires the AR is responsible to throw downrange. Within this TGU Basic Infantry Course we are primarily concerned with fire team disciplines. We will discuss the basic formations used at the standard fire team level. How these will be used for your game will vary. However, knowing how it fits together is essential to you passing the course and applying the principles within TG’s games. Which formations will be used are up to your leadership. It is outside the scope of this course to get into great detail as to how formations are chosen but we will discuss the basics as a means to understanding how the individual contributes to the team’s combat power. In our basic four man team we know we have two basic buddy teams. The FTL and the GL are one team. The AR and the AAR are the other. If your team is to move out in a file then your FTL may give the order of march in two standard variations. You can see how the buddy teams will stick together. In Variation 1 we have a leader who wants to see what the team is walking into in the front. The FTL in this case could also call for the AR and AAR switch if contact from the rear was likely. In Variation 2 if enemy contact from the front is likely then you already have the AR ready to suppress. Unfortunately, your FTL is going to have a harder time knowing exactly what you’ve walked into. It’s all questions of balance and expectations. Most of the time, your order of march at the fireteam level is dependant on what formation you are in a who the leader orders to take point. If you don’t know who your buddy is then ask your leader asap! File formation is where the point man leads and each follows in his footsteps. It is excellent for moving quickly and maintaining control of the team. Each man must only keep an eye on the one he is following and that is the direction he is moving. Number 1 watches forward. Number 2 watches left. Number 3 watches right. Number 4 watches left and scans around to the rear every few steps. Spacing is set by the leader but is generally 8-10m. This allows for a good spread in case of incoming high explosive (HE) rounds. The weakness of the file is if you take enemy contact front then your team is unable to return fire without maneuvering around the point man. The enemy may drop each of your team one after the other without you being able to return fire. When enemy contact comes from either left or right flanks, then the file is very strong. You simply turn each man to face the contact and you are on line facing your enemy. Line formation is where your team lines up side by side with spacing generally 8-10m and facing the direction of most likely enemy contact. The enemy must fire and drop each target then reacquire a new target in order to shoot. Your team now has all four shooters able to effectively fire on the enemy position. Line formation maximizes your fire towards the front. The weaknesses of line formation are that it’s firepower to the flanks is very poor. The only way to balance that is to put the AR on the side of most likely enemy contact and the GL on the opposite side as the AR. This leaves the FTL in the middle to be able to maintain situational awareness and perhaps use the radio. The AAR will have the responsibility of checking teams rear now and then. The other weakness is that this is the most difficult formation to control or to travel in. You must watch where you are going, and each man on either side to maintain your line. This is difficult and takes your attention away from your sector. When one man moves forward of the line he will obscure everyone’s ability to fire forward. Keeping a line straight is a must. Wedge formation provides a balance between file and line formations. In this case the FTL takes point and calls two qualifiers. When a wedge is heavy right and AR is left it means that the AR will take a position to the left and behind the FTL. The AAR will take up a parallel position to the right and behind the FTL. The GL will take a position to the right and the rear of the AAR. You have in effect the firepower of the AR balanced out by the two guns on the right side. You also have your maximum firepower weapons on either flank and they can both fire over 300 degrees around the team. FTL watches forward. AAR watches half-right. GL has right and rear. AR has the whole left flank. You may also call a heavy right with AR right. In this case the most likely contact is forward and the AR would take either the far right or the center right depending on the leaders wishes. While playing in this formation you are able to keep the man you are following in the top corner of your screen and continue to watch your sector. It is fairly easy to control will provide decent speed of movement. It has decent firepower to the front and flanks but is not good coverage to any one area. This formation should be the default formation but is often left to file in the game environment due to file being easier to control. We need to understand the difference between movements and maneuvers. A movement is the movement of a unit assigned a tactical mission under combat conditions when NOT in direct ground contact with the enemy. When contact is made, movement ends and maneuver begins. The distinction is important as how you will move under fire is very different than how you will move when enemy contact is only “possible”. There are four main types of movement. We will consider the use of two fireteams for the purpose of discussing these movements. Travelling is the movement of two fireteams to the same direction of movement where one follows the other closely. This is a smooth and continuous movement. And example from the squad leader may be, “Alpha on point, Bravo follow closely”. Travelling overwatch is the same except you increase the distance the second team is following. Imagine being back 30m instead of 10m. The following team has much more ability to shoot around the point team and has the ability to provide a moving overwatch with that distance. Bounding Overwatch - Successive is where one team will bound up while another covers their movement. Once the first team has moved it becomes the base of fire while the second team moves up on line with the first team. The order sequence will sound like this. Team One FTL - “Team One”. ….and so it goes until the SL calls a halt to the bound. Bounding Overwatch - Alternating is almost the same but each team will move up to a line and beyond the team that is a base of fire element. The advantage is that you can cover more ground faster. The disadvantage is that the bounding teams are exposed to enemy fire for a longer time for a longer run. Maneuvers are movements done under enemy contact. The only one we are going to cover in basic infantry is a fireteam battle drill: Fireteam Reaction to Contact. The basic thing that will happen when your fireteam comes under contact is to drop prone and find where the contact is coming from. If you can determine a basic direction and you know you don’t have friendlies that way then you immediately begin spraying the area with fire until you locate the enemies actual location. This is when the AR is used most. The AR will be ordered to fire a rapid volume of fire on the enemy position. This should fix the enemy in position. The rest of the team will move on line to face the enemy and maximize the firepower of the team forward. Once the full team is firing on the enemy and you have won fire superiority the enemy is considered suppressed. Now the AR can begin to scale back the rate of fire to conserve ammunition. This is the most important part of the fireteam reaction to contact. The team must get on line and win the battle of “who has the most bullets downrange”. The rest of the fight gets easier from there. Continuing on to flank and follow through will be part of the TGU Advanced Infantry Course. The important points are that you have a role to play within the basic fireteam. Take this role to heart and do your best with it. Your team depends on each one of you to pull all these pieces together. Without this solid base to work from all the rest of infantry procedures from leadership to combined operations depend on you knowing these fundamentals. Congratulations. There will be diagrams, animations and video to watch that will demonstrate a lot of this content. Please take the time to view this material as well. When you are ready, head to the TacticalGamer University forums and request a class so an instructor can schedule a time to check yourself and a few other students out. You will be asked to take a written test and demonstrate your knowledge of this subject in game. Don’t worry if you have questions still. The instructor will use the time to clarify how these principles apply to the game you are interested in. Remember, you are encouraged to take the course again periodically. Thanks for your interest in TacticalGamer University. Last edited by Unkl; 07-05-2017, 07:18 PM. Note: Fireteam Formations video is added to the above post.